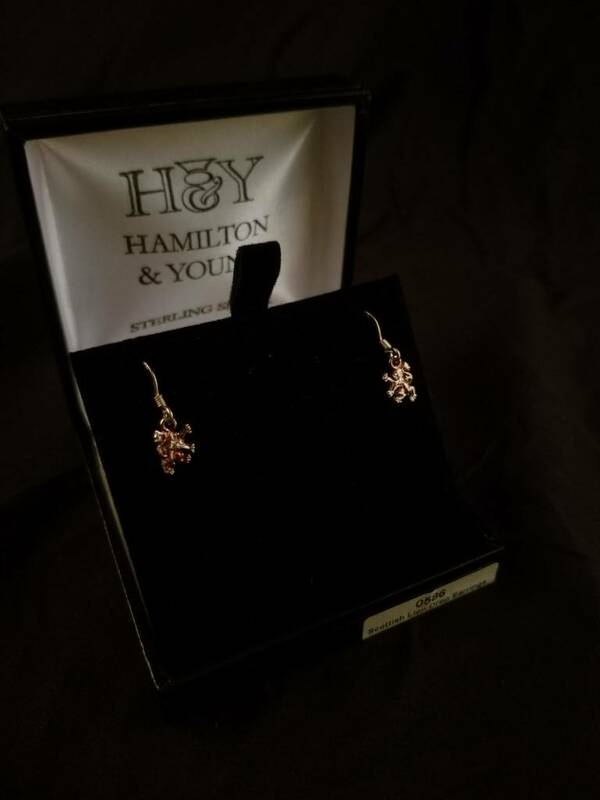 A highly attractive pair of Sterling Silver Drop Earrings with a design based on a traditional Scottish Lion. They will delight lovers of all things Scottish, and the unique and turbulent history of our small country. Crafted entirely of 925 sterling silver, they are shipped complete in a quality black and gold jewellery presentation box, with a leaflet explaining the history of the Celts. They will make an ideal gift, and a lasting memento, for yourself or for someone you love. Size (approx) - 7.0mm x 21.0mm (each earring).